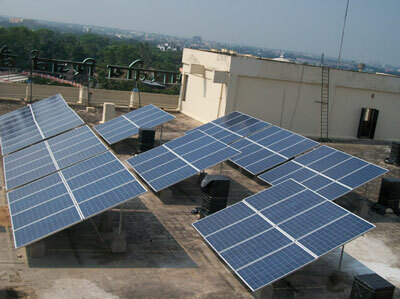 Solar energy is a resource that is not only sustainable for energy consumption; it is indefinitely renewable (at least until the sun runs out in billions of years).The large magnitude of solar energy available makes it a highly appealing source of electricity.Solar power is anticipated to become the world's largest source of electricity by 2050. Solar energy is the cleanest and greenest source of renewable energy generated electricity available to help power your home, business or community building – and nowadays cheaper too! 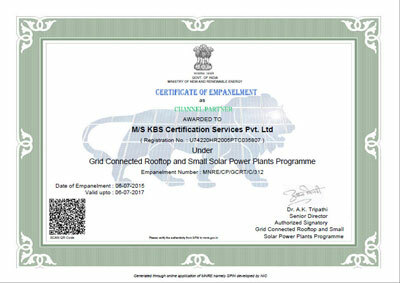 With the declaration of net-metering policies in many states of India , which let power consumers reduce their electricity bills by exporting surplus power to their Distribution Companies, the stage is set for an rooftop solar revolution and KBS India Solar is now actively engaged in bringing the benefits of cheaper and cleaner energy to the people. Solar panels also require little maintenance. After installation and optimization they are very reliable due to the fact that they actively create electricity and do not require any type of mechanical parts that can fail. Solar panels are also a silent producer of energy, a necessity if dealing with picky neighbours. Similar to the energy security boost, solar power provides the great benefit of energy independence. Again, the “fuel” for solar panels cannot be bought or monopolized. It is free for all to use. Once you have solar panels on your roof, you have an essentially independent source of electricity that is all yours. When you install solar panels, you’ll not only slash your carbon emissions and your electricity bill costs, you’ll be joining World’s clean energy revolution. Grid connect systems tie in with your existing home/office/factory electricity supply, ensuring you have all the electricity you need 24/7, regardless of weather conditions and the time of day or night! If it’s too expensive or too remote to connect to mains power, theninstalling an off grid system can be a more economical solution. We offer a full range of stand-alone equipment at the competitive prices! Our commercial solar PV projects team focuses on delivering the best mid-scale solar system installations for customers across India. Whether you’re a commercial enterprise or a community group, we can help make your rooftop utilised and being beneficial for you!